I switched to these gorgeous "black beauty" magnesium QU-AX pedals, as well as switching the dual-hole cranks to single-hole 125mm versions. Because I can't resist the lure of titanium, I opted for the titanium-core model, rather than the CrMo-core model which is still available. They weigh just 100.8g each, which is almost half the weight of the standard plastic QU-AX pedals (197.1g). This is where it starts. 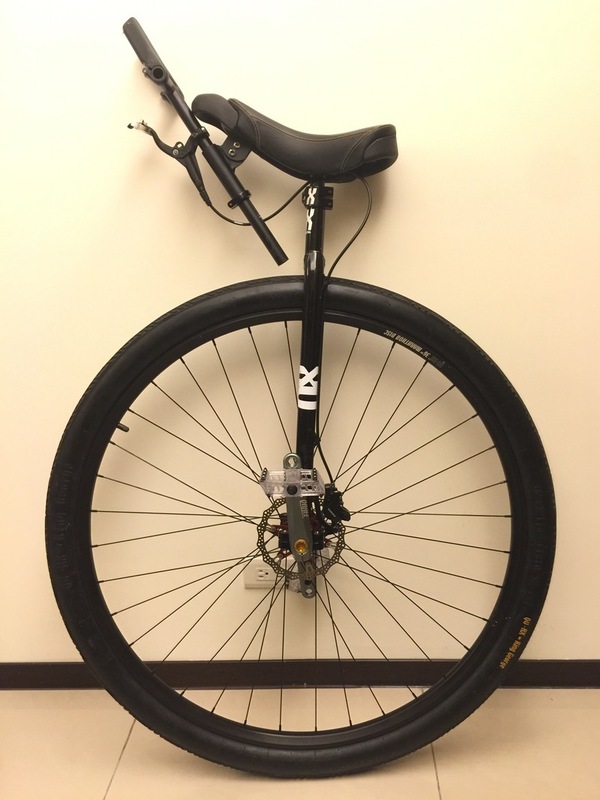 I upgraded my 29" QU-AX to this 36", my first experience of owning a unicycle this large. I'm a fan of the QU-AX due to the fact it's black (most important) and has German engineering behind it, but isn't overpriced just because of a famous brand name. QX Eleven seat. In a collaboration with Kris Holm they've produced this seat that is narrower than the KH Fusion on which it's based, and a little flatter than normal unicycle seats, while not being completely flat like the KH Fusion Zero. King George tyre. This is QU-AX's latest tyre, and I was very pleasantly surprised when my unicycle arrived with this tyre attached. Not only is it 300g lighter than the old standard TA tyre, it also has a good combination grip. 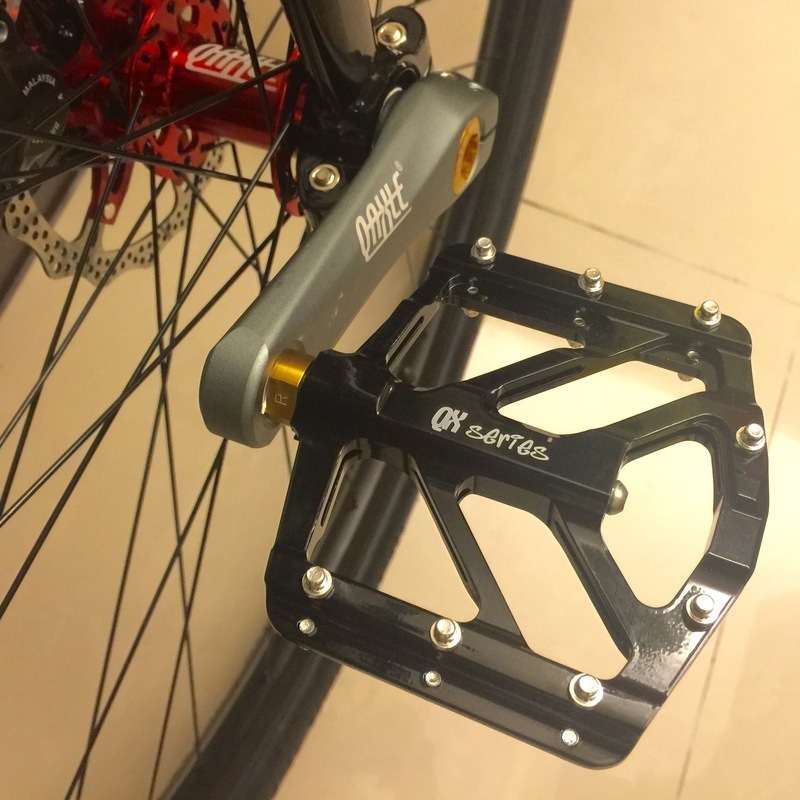 Q-Axle cranks. These have been standard on QU-AX's QX series for a year or so now, but this is another example of QU-AX pushing things forward. This style of crank seemingly comes from the mountain biking world, and is an improvement over the standard ISIS cranks available on most other unicycles. They've also added twin 125/145 holes on the cranks, like the KH Spirit cranks. I moved the KH T-bar (mine is the 2014 model) over from my 29er, and added a KH Starfighter to the brake lever. After my first ride I also changed to the shorter 125mm crank holes.